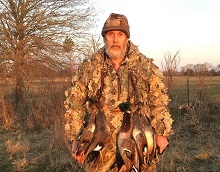 Alabama, SOUTH DAKOTA Prarie Dog HUNTS, TEXAS WHITETAILS, YUCATAN OCELLATED TURKEY, Old Mexico Gould's Turkey, Merriam's Turkeys, Turkey Hunting, Turkey Super Slam, OffHunting.com is your guide to adventure worlwide: Africa, South America, Costa Rica, Bolivia, Guatemala, Panama, Nebraska, Canada, Utah, South Dakota. Join us just south of Dallas for some fast action. 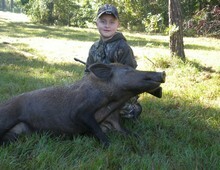 Hunt includes stands, cabin accommodation, meals, two days hog hunting and two hogs any size. All true wild hogs. 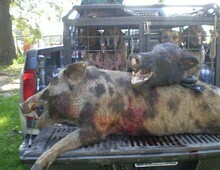 BOUNUS: Add hog hunting with dogs at no additional charge! This will greatly increase your odds of bringing home the bacon. 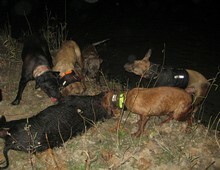 Nothing is more exciting than a pack of well trained dogs baying up a nice hog for you. 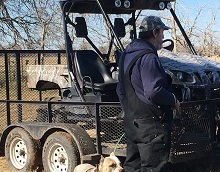 Duck and quail hunting can be added during season. 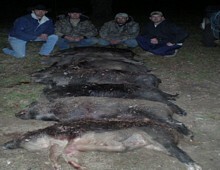 Hog hunting is year round. 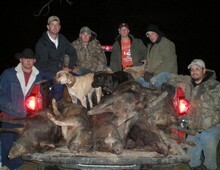 This is a hunt you will not forget!!! $550.00 with lodging and meals - 2 days/3 nights. 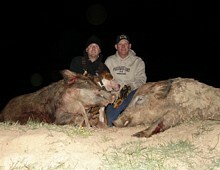 Two hogs any size.